Firstly to maintain or increase funding for equine veterinary research under the proposed new arrangements. Secondly, to ensure that such funding is administered by a body that is independent. Lord Trees’ support for veterinary funding was echoed by other speakers. Lord Trees began, "My Lords, I welcome the proposals to modernise the current levy system to ensure that the British racing industry receives due revenues from all sources of betting. It will help to maintain the health of the British racing industry, which currently contributes some £3.5 billion per year to the British economy. But I want to focus on the health of something else—the horses, on which the whole industry depends—and to highlight the importance of the support provided by the Horserace Betting Levy Board to racehorse health. Since its inception in the 1960s, the HBLB has contributed some £50 million to equine veterinary research and education. It is vital that such support is maintained by the new arrangements, not only because the industry depends on the health and welfare of its racehorses but because there are no alternative funding sources of such support, with the exception of one or two charities, such as the Horse Trust. "The major funders of biomedical research in the UK, the Research Councils UK and the Wellcome Trust, do not generally support equine health research, nor specialist veterinary education, as provided by the HBLB Veterinary Advisory Committee. Over the last 15 years, racecourse horse fatalities have decreased by about one-third, to a substantial extent as a result of HBLB-funded research. Major advances have included the recognition of micro-fractures and their early diagnosis by advanced imaging, which has enabled horses to be retired before the possibility of catastrophic major bone fractures during racing. The epidemiological study of race injuries has led to improvements in course design and preparation, such as the investment by racecourses in watering systems to soften the going. There have also been major advances in infectious disease control. There has not been a race meeting cancelled because of an outbreak of infectious disease among horses for 20 years—a tribute to disease surveillance and the development of efficacious vaccines, such as the equine flu vaccine. In addition to these and many other research benefits, the HBLB has funded the education and training of equine veterinary specialists. "The continuation of this support is essential and should be given through a body that is transparent and independent, analogous to the HBLB Veterinary Advisory Committee. Can the Minister assure this House, first, that the level of current funding for equine veterinary research will be maintained or even increased by the proposed new arrangements and, secondly, that such funding will be administered by a body that is independent? Let us not forget that the health of racing depends on the health of the horses on which it relies," concluded Lord Trees. Lord Collins of Highbury stated, "It will be for the racing industry to make decisions on the spending of funds. 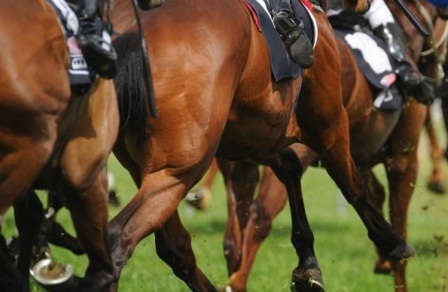 It is in the interests of racing as a whole that the funds raised benefit the entire industry. The current levy has supported the advancement of veterinary science, and I very much hope, as do other noble Lords, that that will continue." Lord Risby said, "it is very important that in future education and training, veterinary research and other aspects of equine life are to have continuing support."